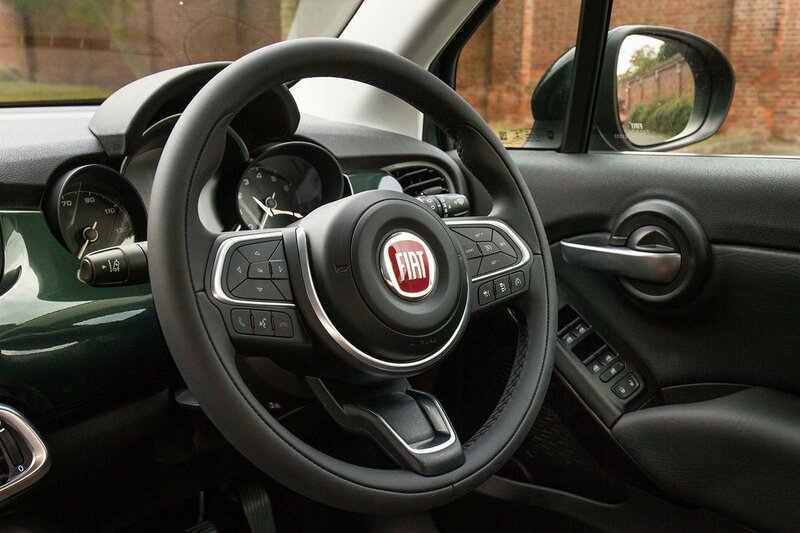 Fiat 500X Interior, Sat Nav, Dashboard | What Car? The 500X gets a decent range of adjustability, including to the steering wheel (for both rake and reach), and a broad range of seat-height adjustment. It’s harder to get the right angle on the backrest, because you adjust it using a lever and leaning backwards or forwards – a method that's less accurate than a rotary control would be. Electrically adjustable lumbar support and a central armrest are available as part of the reasonably priced Comfort Pack, which is definitely worth adding. Fully electric seat adjustment is also optional. The 500X's seats are comfortable enough, even on longer journeys, and its pedals are decently placed, making this one of the better driving positions in the small SUV class. Generally speaking, the dashboard buttons are well placed and easy to read. We like the fact that you get physical air conditioning controls, too, rather than the fiddly digital buttons built into the touchscreens of some rivals. 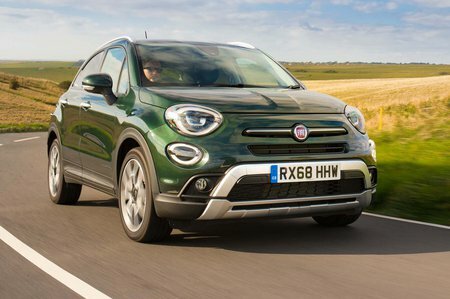 Predictably, the 500X’s semi-high-riding stance gives a good view forwards, although its fairly chunky front pillars can limit your view through really tight bends. Rear visibility is mostly fine, but there are over-the-shoulder blindspots that you’ll need to be conscious of during lane changes; blindspot monitoring is optional on the top two trims. The fairly high boot line means you’ll be making good use of the rear parking sensors that are standard on all but base Urban trim. If you want front parking sensors or a rear-view camera, they’re standard on top-spec Cross Plus and optional on lower trims. Disappointingly, automatic wipers are optional on all models. A heated windscreen is available as part of the Winter Pack, which includes a heated windscreen and steering wheel. Speaking of winter and dark nights, high-intensity LED headlights are available either as an option or come as standard on top-spec Cross Plus trim. All models get a 7.0in touchscreen infotainment system with a DAB radio, Bluetooth, two USB ports and an aux-in. Crucially, you get Android Auto and Apple CarPlay smartphone mirroring as standard on all trims. Sat-nav is only standard on Cross Plus models. The screen has reasonably sharp graphics, but some of its icons are just too small to hit easily on the move. It can also be frustratingly slow to respond to inputs. At least the menus themselves are fairly intuitive, but the system lags behind the Seat Arona's and Kia Stonic's. A nine-speaker Beats stereo upgrade is available if you really like your music. 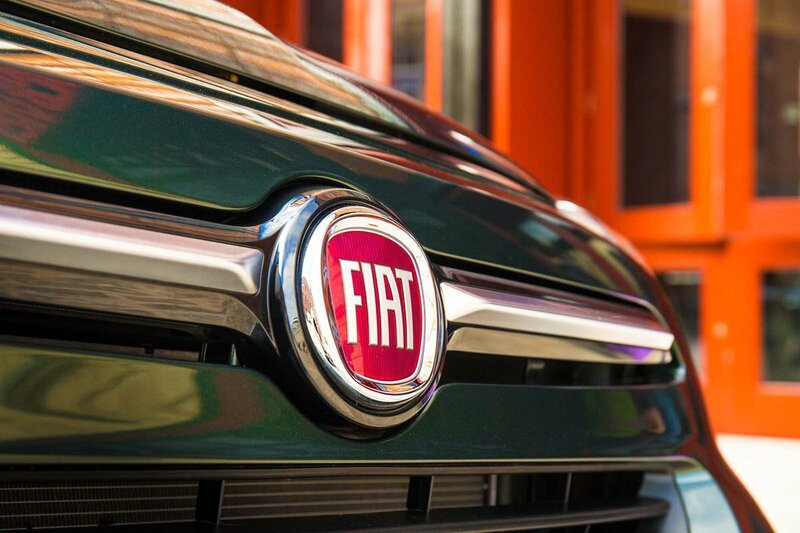 Fiat has a reputation for producing quite cheap-feeling interiors, but the 500X is a departure from this. Plenty of soft-touch materials and generally good fit and finish make it feel reasonably classy – more so, in fact, than a number of rivals. Some of the switch damping and some sharp edges around the seat adjustments let it down a touch, but overall the 500X has one of the plusher interiors in this sector.